Gabriella Muscolo was born in Milan on May 5th, 1959. She was awarded a law degree with honours at the University of Genoa on December 20th, 1982. She was appointed trainee judge with Ministerial Decree on May 29th, 1985. Since then, she achieved the rank of Court of First Instance Judge on May 29th, 1988, of Court of Appeal Judge on May 29, 1998 and of Court of Cassation Judge on May 29th, 2005. From 1991 to 1995 she has been appointed to the Italian Ministry of Justice, where she has dealt with European and International Law and has been member of the Commission for the transposition of EU directives on Company law in the Italian legal order and of the Commission for the reform of Italian Company law, both established within the Ministry itself. From 1999 to 2012, she has been Judge of the Court of First Instance of Rome where, since 2003, she was sitting as a Judge of the Specialist Section for Intellectual Property Law at the District Court of Rome, which has competence on Intellectual Property, Competition Law and Consumer Law Litigation, and since 2012 she has been judge at the Court for Undertakings, which has jurisdiction on Intellectual Property Law, Competition Law, Company law and EU Procurement Law. She has been the writing Judge of several decisions in these fields, published and commented in main specialist reviews in Italy and in Europe. She was appointed member of the Enlarged Board of Appeal-EBA of the European Patent Office-EPO, for 2009/11 and 2012/14, before leaving this position as she was appointed member of the board of the Italian Competition Authority. In 2012, she was appointed by the Consiglio Superiore della Magistratura - CSM (Italian Superior Council of Judiciary) trainer in EU Law for the Rome District, implementing the European Gaius project. Being part of this project, she has taken part to the activities of the EJTN-European Judicial Training Network. Since 2008 Gabriella Muscolo has been lecturer of Company Law at the School of Specialization for the Legal Professions at the University of Rome - La Sapienza. Since 2003, she has also lectured at Italian and Foreign Universities such as Université de Strasbourg, CEIPI-Centre d' Etude International de la Propriété Intellectuelle, Technische Universitat Dresden, Universidad de Alicante, Queen Mary University, University of Washington, CASRIP- Center for Advanced Studies and Research in Seattle and Waseda University in Tokio. She has taken part, as a senior expert, to several EC training projects and she has been lecturing for the CSM, the Italian School for the Judiciary and the EPO Academy. She has published in both Italian and English in the fields of Company Law, Industrial Law and Competition Law. In particular, she has authored several articles on Italian and European Journals and coauthored various books. Together with G. Caggiano e M. Tavassi, she edited the books "Intellectual Property and Competition Law: a European perspective", Kluwer International, The Netherlands, 2012 and together with G. Pitruzzella "The Pharmaceutical Sector Between Patent Law And Competition Law. An International Perspective" Kluwer International, The Netherlands, 2016. She is co-editor of the Journal "Le sezioni specializzate di diritto industriale" edited by Giuffrè and of the online Journal "Italian Antitrust Review". She is member of the Board of Directors of the Intellectual Property Judges Association- IPJA, member of the Association of European Competition Law Judges-AECLJ, and member of the executive board and vice-president of the Italian Association of European Jurists (AIGE), associated to the FIDE (International Federation for European Law). 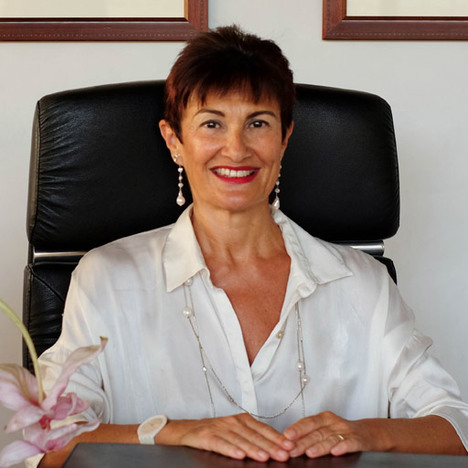 She is member of the board of the Italian Competition Authority since May 2014.